I would like to thank the ACE Team involved for their efforts and the improvements made on this check. With this Aircraft only having a 2 Day Extension, lets aim for an On-Schedule TAT this time with D-ABZE. Please pass on my thanks to the ACE staff not included in this email. 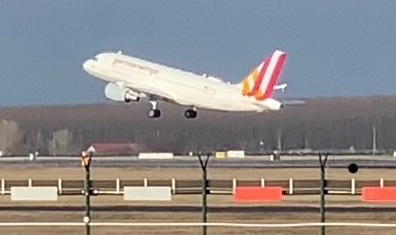 I can confirm that G-DHLF arrived in LEJ after a 69 minute flight, it landed fully serviceable and has now been upgraded to full ETOPS. 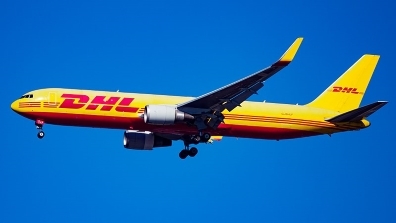 Stefan Kontorravdis DHL Air Technical Director was visiting LEJ yesterday and visited the aircraft and commented that Aeroplex had carried out a very good input. I can also confirm that all the on-site team have been very impressed with the workmanship and support we have received during the input. 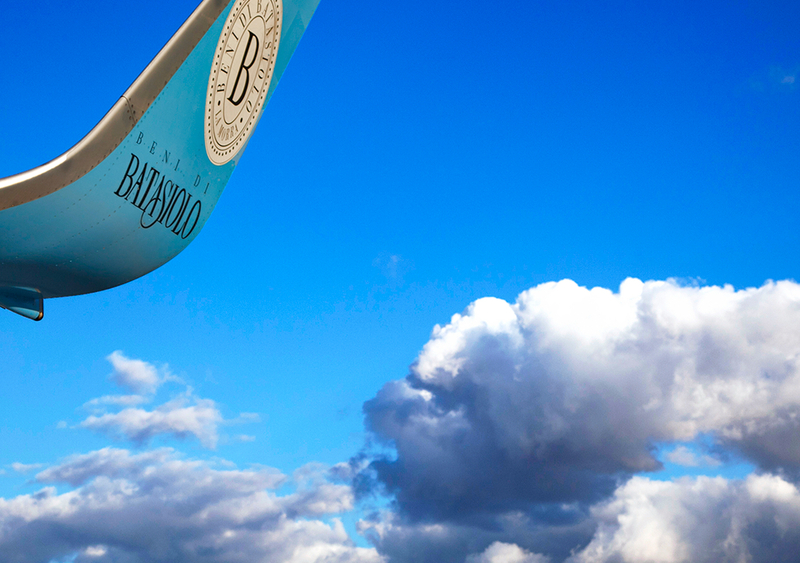 Thank you for resetting the priorities and giving your support to fix our AOG 737/OE-IAX sooner. The aircraft and crews were back in-time to support the total flight program! Please pass-on to all involved, our appreciation for your support! Martin, although busy with the OE-LFB, appreciated very much your follow-up support on the OE-IAX as well! To all, good luck with the last stroke on the OE-LFB/757 C-check. 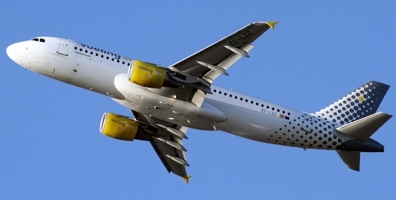 Technical Representative for ASL Airlines Belgium. TFC has been released ahead of schedule after a tight modification slot in good and shiny condition. Thanks a lot for a job well-done and all your efforts! Have a great 2019 ahead and we are looking forward to the next project LFB on the 10th of January! 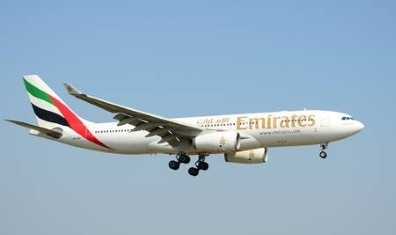 On behalf of EK-MCC and Emirates Airlines I would like to extend our Sincere Thanks for you thorough timely handling of the above subject delayed flight due to Cargo Door Structural Damage found on arrival. It was particularly helpful that you quickly organized an on-sight HFEC Inspection / Test of the Damaged Area and in addition you provided good communications by phone and eMail. These actions were instrumental in helping us to execute the DDA release in the shortest possible time and minimize the disruption to our Customers Thank-you for your excellent support! . Please let me thank your team and yourself for great reaction and great job on the our unit. - as well as to the mechanics who intervened on the engine for their diagnosis and repair." TK1036/30OCT flight was cancelled due to damaged fan blades. To fix the problem, materials and engineers arrived from Istanbul İn the cold and windy evening. Then i heard, that to make Turkish Technic work more comfortable, you repositioned and gave priority To our damaed aircraft in your warm hangar. You provided everything we need. Normaly there was only 1 space for prereserved B767, But you gave us priority. This is really special for us. On behalf of Turkish Airlines, i sincerely thank you for all you have done for this long 26hours of operation. Dears, Once again I would like to say big thank you for professional and on time C-Check performed on our SP-HAX. In fact CRS achieved exactly on estimated date. I’m glad for cooperation with Line 2 team and I wish a lot of success like this one. Thank you for planners, engineering, customer service and all involved. For sure I recommend my management to return ACE with next projects. Thank you for information. Also i would like to thank you and your colleagues for excellent cooperation. The Thrust Reverser of Doom! és az A-Check Service Check munkák jó minőségű és pontos végrehajtásáért. A repülőgép AOG volt és nagyon gyorsan kellett dönteni, hogy betudják-e vállalni a nyári szabadságok idején ezt a munkát. Korbácska úr nagyon gyorsan reagált erre a számunkra igen rossz helyzetre. Bevállalta a munkát, és így a gyors javítás után a repülőgép újra repülhetett a menetrend szerint. Még egyszer köszönet az ACE cégnek. just wanted to give you a brief feedback from Thomas Cook that they are very happy with BBQ delivery condition/ the rectification of the defects that were adressed previously before it went on C Check. So thanks to everyone involved!! Let's hope for a smooth continuation of the ops! Good to read, please express my gratitude to your management and all people involved. Thank you for your mail, and thank you, too, for the kind way I was welcomed. All Aeroplex’s staff was fantastic, logistics and maintenance staff, as they performed tasks, proved to be excellent professionals. Work was well organized and well supported by the Customer Support. I believe that Aeroplex is going on in the right track. 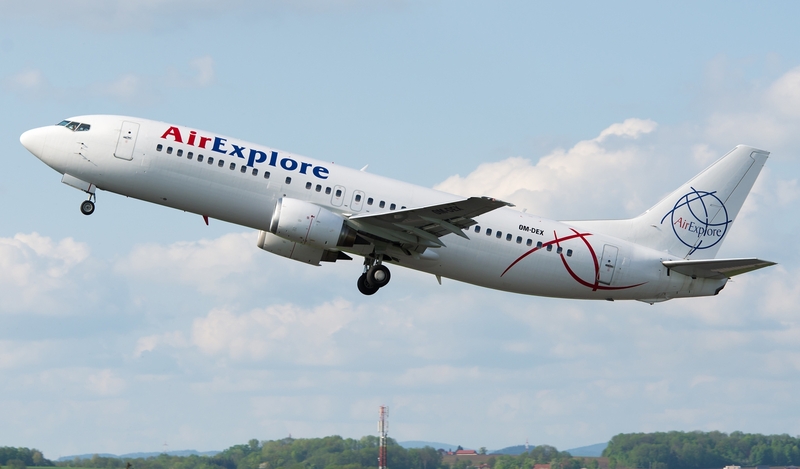 Ezúton szeretném minden résztvevõnek köszönetemet kifejezni az AirExplore nevében az OM-FEX Boeing 737-800 gépen elvégzett A- Check Service Check és a fõ futók tömítése cseréje munkák jó minõségũ és pontos végrehajtásáért. BUD-BCN and all was perfect. No defects found for this first flight. I want to take a few minutes to thanks everybody involved in this project. When I arrived to BUD last Saturday, the scheduled RTS was for 09/04, after all meetings (and argues) carried out on Monday, we realized that we had a problem, and instead of looking for culpability, we agreed to find solutions making efforts, and you really have done it. The fact is that we have the aircraft ready two days before, 07/04, as we were focused since then. I´m very happy with it and with the way you did it, I mean, increasing the productivity but without decreasing the quality. I think that the dialogue between Aeroplex (Árpád, Etelka, Bianka, Tamás, Norbert, etc.…), Iberia reps (José Antonio and Marcos) and me has been essential to get the target. Thanks a lot again guys and hope to see you soon! 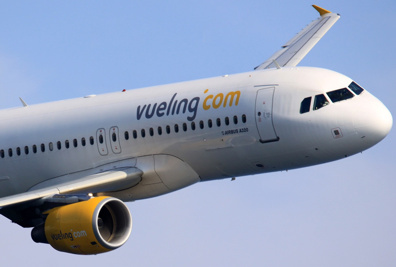 Regarding our aircraft EC-LLJ 6YRS REV, to inform you that yesterday performed the flight BUD-BCN without any problem. Just to say thanks a lot to all your team for your great effort during this lasts days in order to have the aircraft ready as soon as possible. I know that was not easy but you got it. Also I would like to thanks our IB reps here for their useful collaboration. Now we are involved in another difficult project, EC-LZZ, where you are focused and I´m sure you are doing your best and we will have it ready according scheduled. thank you very much for you big help and quick action regarding flap replacement. I really appreciate it. The YL-BBR and YL-BBS D-Checks were more organized and no so hectic comparing with YL-BBX and YL-BBE.I am particular satisfied with Janos team (YL-BBR project). The project went quite smooth and there was no eventful issues or problems. Many thanks to János Mlinár, János Kása and János Nagy. 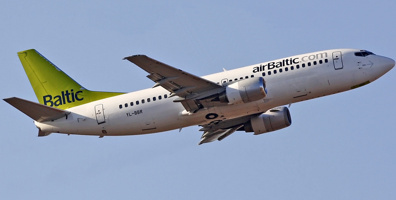 The YL-BBS project showed Aeroplex performance improvements as well, but unfortunately the aircraft was released later than it was agreed with airBaltic. Since the improvements were obvious I don’t want to give a negative feedback at that stage. I just would like to recommend to maintain a quality and approach to work demonstrated during the YL-BBR D-Check. of a very high standard during this C check in Budapest on SP-HAZ. maintenance inputs. 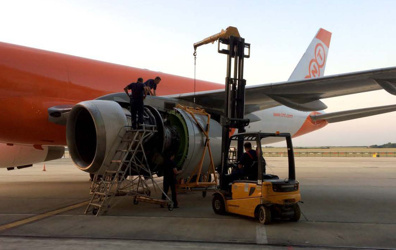 As you are aware the three critical areas at this stage are the LONGITUDINAL BEAM BOLTS ;DECISION REGARDING THE ENGINE BLADE DAMAGE and the PYLON SPARES. 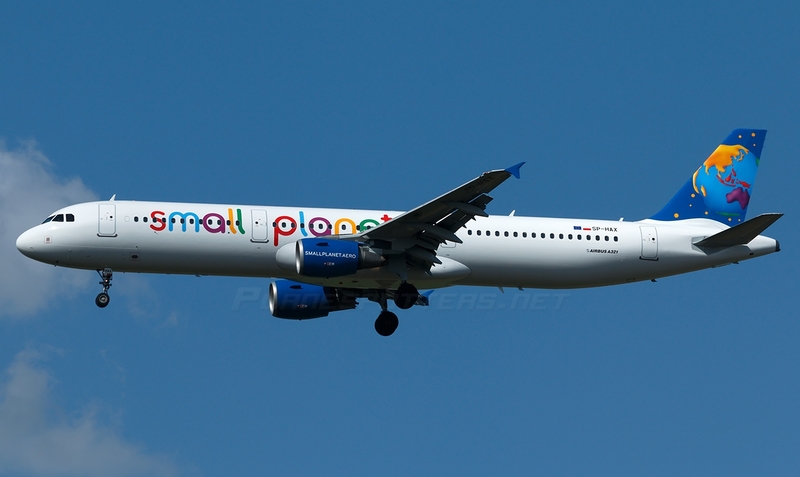 All three of these issues have been regarded as URGENT and AOG so various personnel at both Small Planet and Aeroplex are pushing at expediting the spares and getting a solution in place to avoid a lengthy delay of the aircraft back into service. The C check will be completed as per schedule on the 4th April as planned. Hopefully we will have a clearer picture by tonight. 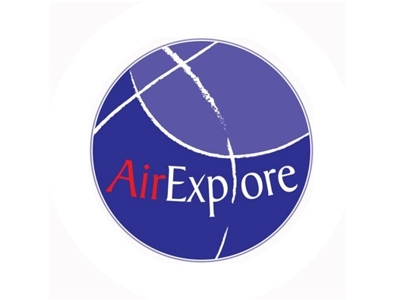 Thank you very much for such positive feedback regarding Aeroplex. For sure during another base check planning we will take it under our consideration. Regarding those three outstanding things, I hope we’ll found quick solutions, about which will inform you and Aeroplex when only any info we will get. Thank you once again. the ACE people who took me a very good impression. same feeling I had. Thanks lot for your help and support. team on the hangar and shop floors. Very well done and looking forward to the next input. I would like to thank the whole team for this great Job! taking care of our aircraft. It is highly appreciated! We are pleased to work with Aeroplex, so far we have had only positve experience with components being repaired at your shop. This is why we always send our components which are on you cap list to you. We look forward to continue with our great partnership in the future. ILFC has signed the return acceptance, the aircraft would be deregistered before 2 pm. From now on, ILFC has the responsibility, and all new order should be charged to ILFC. 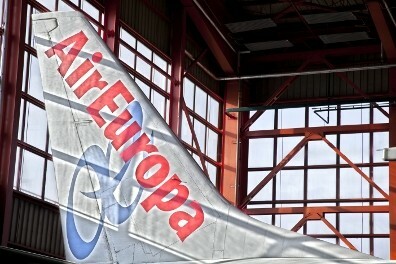 In name of Air Europa, I would like to give our warm thanks to everybody, who has been involved in this project. Without your professional and friendly support, it would be not possible to close; it was a really high quality work that has been done by all Aeroplex staff. I hope very much to see that you will end March with the new project. On behalf of American Airlines Regional Maintenance in London and our MOC/SOC int he US, I would like to thank you for all your efforts in getting the AA159 departed today and without it to have a Tech stop in Goose Bay Canada. During the flight the crew noticed the were 2ea speed bugs missing (minor issue not in the TL) Believe this or not this was the only complaint from the crew. Handling of the Aircraft was good. So in other words perfect exit from Heavy C6 check. Thank you all for very good support and quality of the workmanship. I just wanted to send you a note to thank you for the support that we are currently getting from Aeroplex in Budapest. It is very important for us to have a part­ner like Aeroplex, and your flexibility/agil­ity is important for us in cases like these. Again, I just wanted to let you know that we are very pleased with your usual quick response and support related to getting our aircraft back to serviceable condition. I would like to thank you all for your performance on our Delta flight today (DL99/15Jun). Our service arrived over 4 hours late, however with professional team work we managed to release the aircraft within 1 hour and 9 minutes. 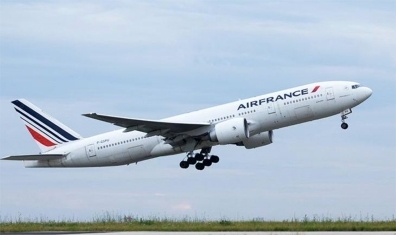 With such a short turnaround we contributed to our transfer passengers by giving them a chance to reach their connecting flights and reduce the delay of those passengers with JFK as their final destination. Appreciated the extra efforts from all of you. 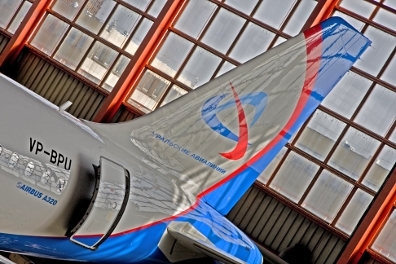 I hereby on behalf of EGME Chairman would like to thank all honored members of Aeroplex on the honorable effort exerted in overcoming the above mentioned AOG situation, which is always expected from Aeroplex of Central Europe Ltd, as one of MS distinguishable maintenance providers at out stations. Just a few words after this weekend happen­ings. 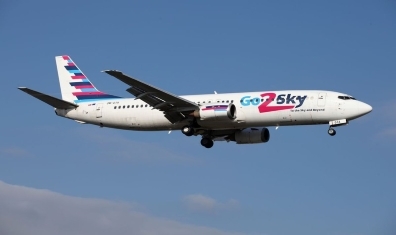 We had two AOG (NOR and NOO) and the flight to Burgas with LN-NOO with 186 pax home was nearly canceled but finally the avionics found the failed SPCU and NOR was sent to Burgas. Saturday evening short of avionics they also joined us on troubleshooting on LN-NOO. I just want say a big thanks to Janos and the four men from Aeroplex for the support on Saturday evening /night, they helped us a lot. we had a issue with N327UP yesterday in BUD. The A/C was out of service due to a broken bracket on the main gear. Zoltan Papp was involved into it. He communicated very good and worked this issue in an absolutely professional way. I appreciated that he was handling tha situation in such a good matter. As you know, I went to BUD due to the AOG situation on A/C N341UP. I would like to take the opportunity to say “Thank you” to all involved mechanics. I recognize the outstanding work and the professionalism of how the situation was handled. Please pass on my regards to all of them. A mai napon (október 14-én), nem sokkal 12 óra után telefonon megkeresett az Ural Airlines légitársaság műszaki igazgatója, hogy köszönetét fejezze ki azért az erőfeszítésért, amit az ACE megtett annak érde­kében, hogy a VQ-BCX jelű repülőgép időben elre­pülhessen. Hozzátette, hogy a minimális késés okát ismerik, és nem tartják az ACE felé felróható körül­ménynek. Megkért, hogy továbbítsam a köszönetét minden ACE-munkavállaló felé, aki elősegítette a karbantartást, illetve részt vett benne. A magam részéről csatlakozom a műszaki igaz­gató úr által elmondottakhoz.